This is one of the best baked chicken recipes I’ve ever created or tasted. It’s also one of the easiest to make! Only slightly more complicated than the Easy Cajun Chicken Recipe (you have to sprinkle on 3 ingredients instead of just one), it’s even more flavorful and decadent tasting. The pan gravy is made simply by whisking in some sour cream, and it’s got to be one of the most delicious things I’ve ever tasted. 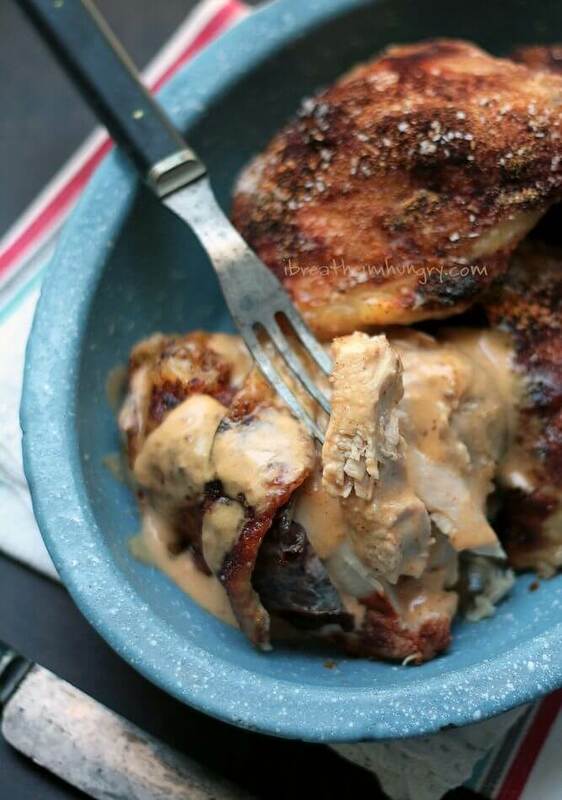 Seriously, I can’t say enough about how mouthwatering this low carb chicken recipe is. The fact that it takes less than 5 minutes to assemble, and then you just throw it in the oven while you go about your business is even more awesome! I use chicken thighs because the skin gets nice and crispy, while the meat stays tender and melts in your mouth. This gravy is where it’s at though – a true thing of beauty! Silky and rich, it takes on the flavor of the chicken, the paprika and onion powder, and then the slight tang of the sour cream just brings it all together. I may never thicken gravy with anything but sour cream from now on – it’s that amazing! 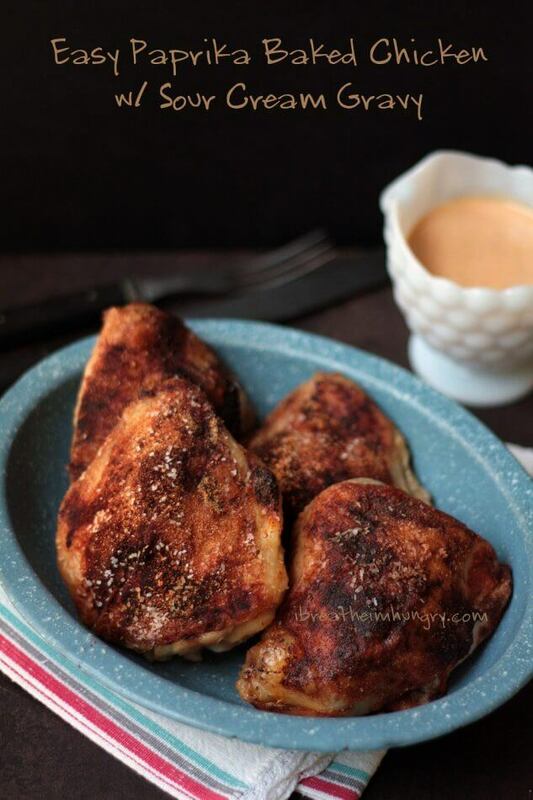 A super easy and incredibly delicious low carb and gluten free baked chicken recipe featuring paprika and sour cream. Mix the paprika, onion powder and salt together in a small bowl. Season the chicken thighs generously with the mixture. Place the thighs on a parchment lined (optional but helps with clean up) baking sheet. Roast at 400 degrees (F) for about 40 minutes. Remove the chicken from the pan and pour the juices into a small bowl. Whisk in the sour cream until smooth. Serve the gravy warm alongside the chicken. 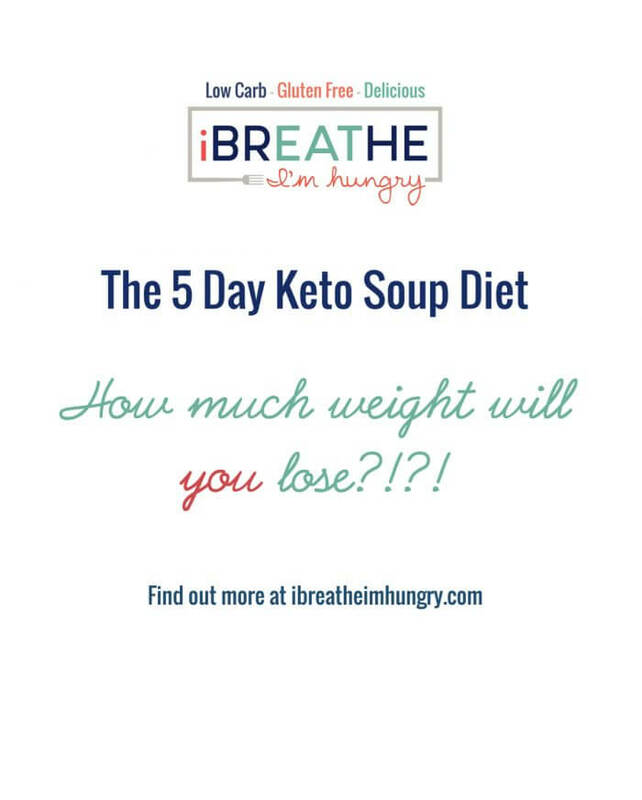 I predict that this recipe will be a huge crowd favorite – and you can expect to see it in Week 2 of our 7 Day Keto Meal Plan series! Want to join us? 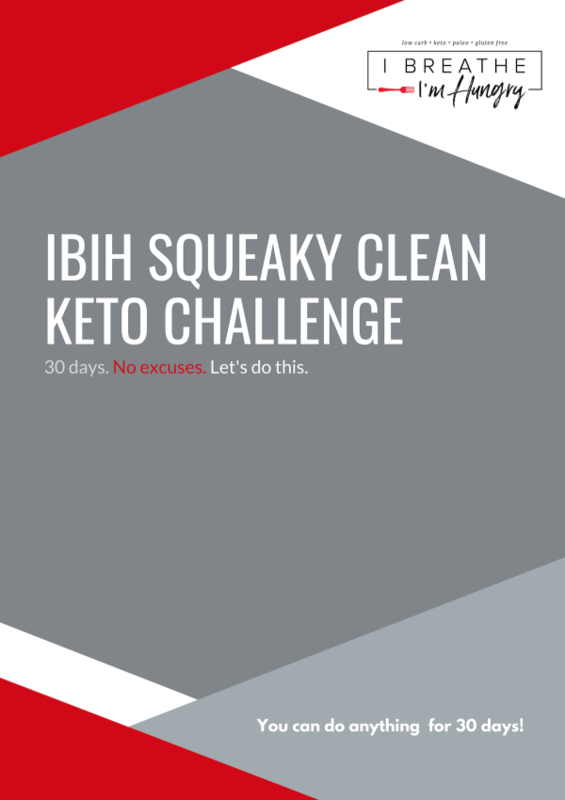 Get caught up by checking out Your 3 Day Keto Kickstart and Meal Plan or jump right in with the Week One 7 Day Keto Meal Plan! This was the best chicken! 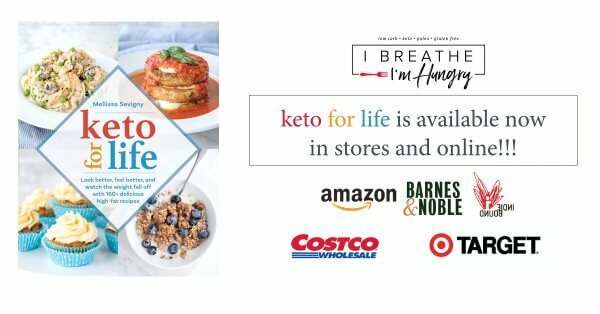 My husband, who isn’t Keto absolutely loved it too. Thanks for the great recipe! This was so simple and easy to make and it turned out perfectly. Thanks for the recipe. This recipe is VERY EASY AND VERY HEARTY. YOU WILL NOT MESS THIS UP and you will be like “OMG I’m a chef!” It’s delish. I serve alongside cauliflower mash, or roasted radishes, or steamed asparagus. Incredible. This looks SO good. 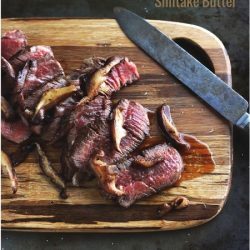 I haven’t got much money, and I’m taking a cooking course starting in late August (at 71 years YOUNG!) so I would like to postpone making this until I feel confident in cutting up a whole chicken myself. That way I can learn, and be able to taste the results of my efforts. That’s, of course, if I don’t cut my fingers off (which is always possible, especially with my [mild] cerebral palsy!). Also, you Amazon link for the paprika sends me to a non-existant page. Could you please tell me which to get. Amazon has so many! Also, your Amazon link for the paprika sends me to a non-existant page, and Amazon has so many different Hungarian paprikas. Could yo tell me which one to get? All time favorite. Great with zucchini noodles. Any ideas on how to convert to a crock pot/slow cooker? Add any liquid? I know the skins won’t be crispy but I need dinner to be READY when we get home! Maybe add 1/2 cup of chicken broth so they don’t dry out – then stir in the sour cream just before serving. 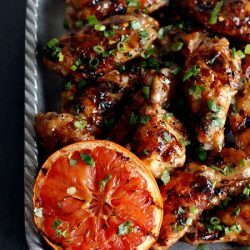 Depending on the size of your chicken thighs or how many you make it would probably do 6 hours on low or 3 hours on high? I coated them with butter first. I used paprika, onion powder, garlic powder, salt and a dash of cayanne pepper to season them. Baked them as directed. Removed the chicken from the pan and added the sour cream to the juices in the bottom. Heated that a little more because the sour cream is cold, then poured it over the chicken. OMG… delicious! Delicious! Made for my entire family tonight and they loved it- even though they don’t eat low carb! Definitely a keeper recipe!!! Thank you for sharing. Its really hot here in Texas right now so I decided to make this in my large cast iron pan on the grill. I used indirect heat on both sides of the pan and heated it for half an hour before adding my chicken. I used boneless skinless thighs and legs about 2 lbs that I had all ready coated with paprika mixture and let set for a few hours. I added bacon grease to the pan and on top of the chicken. I cooked it uncovered for 40 minutes until the chicken registered 190 degrees. I also tenderized all the chicken with a mallet before seasoning. I added the oil since they were skinless so as to get some sauce. The gravy came out excellent and slightly smokey. The chicken was tender and flavorful–I had rolled each piece up after seasoning so they were like little bundles with the paprika throughout! Thanks! I made this tonight and it was delicious! Added a little bit of Worcestershire sauce to the sour cream sauce. So good! I finally got around to making this and my 16 year old said it was one of the best things he has ever tasted. I made mashed cauliflower with cream and Gouda blended in. It was the perfect foil to the gravy. Thank you Melissa, you are genius! This is amazing! I didn’t have chicken thighs with skin, but it was still delicius! I just scraped what I could off the baking sheet and added some broth and more sour cream…absolutely delicious! I used Smoked paprika. We will make this again!!! Your excitement is pretty much how I felt when I first made this lol! It’s impossible to believe that a recipe that tastes this good can be so EASY and made with so few ingredients! I still love this one – glad you guys did too! This is very good…..and the sour cream gravy is awesome. This was very good….I will be making it again. This recipe is amazing! Easy and super delicious! It’s in my recipe rotation and I’ve already memorized it. Absolutely loved this recipe. My husband decided it wasn’t spicy enough though, so I added a tsp of garlic powder and a tsp of cayenne pepper. Perfect! Thank you so much for all of your recipes. But this one was particularly phenomenal! Made this tonight for the first time. It was awesome! My husband who 1) isn’t doing keto or any kind of diet and 2) does not like baked chicken.. loved it. He had seconds! Glad it was a hit Karen, thanks for letting me know! I would love to join your group to look at your other recipes. Just made this; so good! My husband bought skinless thighs so I put bacon grease on them. They turned out great. I also used smoked paprika. Yum. The gravy is awesome! Thanks a lot! Just a warning. Do not use lowfat sour cream. My mother bought it for the recipe, and it didn’t even make a gravy. We doubled the recipe and i added 1/2 cup sour cream. But it was straight liquid. I don’t know what we did wrong except for the fact it’s ligth sour cream. Delicious and very easy! Not often I get to use my smoked paprika. I’m new to keto, made this tonight and it was REALLY good. My husband said it’s some of the best chicken he’s ever tasted and even our picky 6-year-olds both really liked it. This dish looks wonderful, although I’m not a fan of thighs. Do you think I could use bone in skin on chicken breasts? I’m thinking I need the juices from the thighs to make a tasty gravy though. Thanks for your input and recipe! A bone in skin on chicken breast would work great Mindy but it might be slightly drier so be sure not to overcook them! Enjoy! This recipe is to die for! I’m so in love with this chicken. Bake at 450 for 20-ish minutes. It turns out incredibly moist and just amazing. SOOO easy and delicious. I think next time I will remove some of the fat before cooking or skim it before making the gravy. It was still really good and came together quickly. My absolute favorite meal, my 2 year old loves it too. He tries to stuff the whole chicken in his mouth. I’m 1 month into low carb eating! Your website is like striking gold! Thanks for sharing all your hard work! Made this for dinners tonight for me and the kiddos. It was so good! I substituted legs since it’s preferred by the kids and I smothered in the gravy then I ate the rest of the leftover gravy with a spoon! Yum! Am I missing something? I am not sure how you came up with numbers for calories and fat? I’m only coming up with 95calories and 5g of fat……please and thank you! Sounds great can’t wait to make this tonight! This is fantastic! I used 1/4 cup 2% Greek Yogurt, which only adds 2.5 carbs to the entire dish, and exchanged the salt for seasoned salt. It truly is amazing! Thank you for this great recipe! Here in Lafayette, Indiana we have a new store called Fresh Thyme – kind of like a Trader Joe’s but more produce and less processed stuff. They have a GREAT Heavy Whipping Cream that has no additives!!! NO Carageenan!! I can’t remember the name and I’m out of it right now, in fact getting ready to head out there shortly :) but it’s an organic brand. I’ll let you know later. Awesome Debra! Thanks for letting me know they were a hit! Sauteed some mushrooms and put them on top of the chicken before spooning on the sour cream gravy. My daughter didn’t realize she shouldn’t skin the thighs, and did so out of habit. We cooked it using convection and it was just fine – moist and delicious. 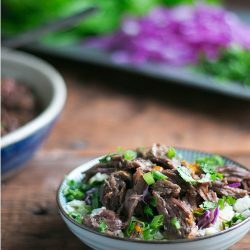 Fantastic recipe that we’re definitely adding to the rotation! 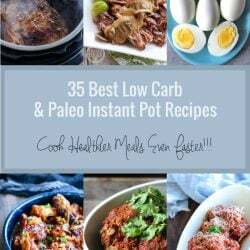 So, I made this for dinner tonight, and let me say that it is one of my favorite low carb recipes I’ve made. It is DELISH. I was out of onion powder and only had regular and smoked paprika, so I subbed garlic powder and did half of each kind of paprika and it was amazing. Thank you, thank you, THANK YOU! So I stumbled across this on Google and not only am I now loving chicken thighs (always went for skinless breasts before I realised I needed more ways to get fat in my diet) but this recipe turned out great first time around. The gravy was tasty too and mixed with some veg gave it a nice flavour. I did it for 40 mins but will probably do it for 32-35 next time. Only used a tablespoon full of sour cream and chives which was perfect for me and two chicken thighs. Others will be eaten tomorrow for lunch or dinner. Just wanted to stop by and leave a message. I use this recipe twice a month, often on chicken drumsticks (skin on). It is such a simple, simple thing! I love to make a batch of drumsticks to toss in my lunches for the week. This is very easy to make and delicious. The gravy is to die for! (I’m a big sour cream fan any way). I just used the left over gravy in place of sour cream with the No Chop Chili. Yummmmm. Thanks for ANOTHER great recipe! Melissa. Melissa, Melissa, Melissa. Thank you. I just made this (accompanied by your pan roasted radishes!) and it was one of the EASIEST dinners I’ve ever made. And it was one of the most delicious. Add in that it’s ridiculously healthy AND budget-friendly to boot? I cannot thank you enough. This is going into a permanent place on our rotation. Thank you, again, for all you do. So glad you liked this Kaitlin – it’s still one of my favorites!!! And no worries on the spelling of my name, I’m used to it because it’s so nontraditional with the two L’s (thanks Mom.) ha ha! Looks really delicious! 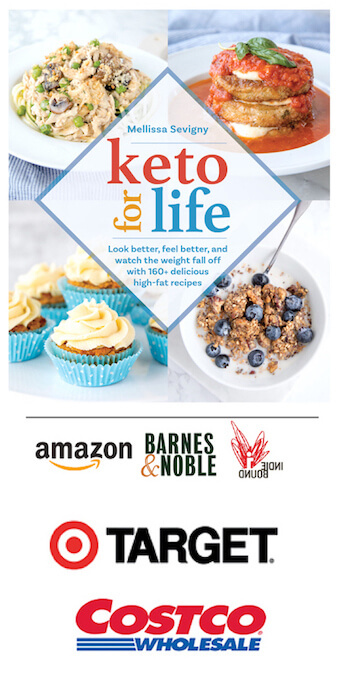 I’m just trying out some keto recipes to see if I can find enough to keep me satisfied. (not a problem on your blog!!) However, a lot of the chicken recipes call for wings or thighs. I am not fan of wings. (yes, here you have met your first one). Also I only like white meat. Yes… I know that the keto promotes more fat which the dark meat, especially with the skin, provides. That said…do you have suggestions for using white meat as far a cooking times or nutrition values go? Thank so much for all the time & effort you put in for us!!!! I don’t know what the nutrition value is with white meat, but you can bake it for a much shorter time, or even saute it in a pan. You won’t get the same kind of juices or flavor from a chicken breast as with a skin on leg or thigh, so not sure how the gravy would work out either. 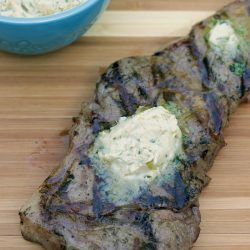 If you pan fry it in some butter and then add the sour cream you might be ok – and definitely with the sauce there would be enough fat to make it keto friendly. Enjoy! Made this last night and it was outstanding. Thank you! does chicken need to be flipped and if not should it be cooked skin side up or down? No need to flip it Bridget, and cook it skin side up so it will get nice and crispy on top! excuse me, but i am an inexperienced cook and i have never made gravy.. do you have to pour or strain any of the fat from the drippings before whisking in the sour cream? do you have to heat this after whisking the sour cream to warm or bring it to a boil? No need to strain it Bridget – all of that stuff is the flavor you want! Just whisk it in – you don’t have to cook it after either – just heat it gently if it’s gotten cold. Enjoy! I grew up in a neighborhood with a Hungarian population. They will debate with you how the spice is pronounced, LOL, but I fondly remember this dish, it’s on tonight’s menu, excited about it. Thanks dawn, I hope it lives up to your memories! Just had this for dinner and YUM! I used smoked paprika. My husband is on his second helping now! I’m actually in the process of making this now – the chicken just came out of the oven, and looks fantastic! I wonder if you could share how much “chicken juice” you usually get with this, that you can then use for gravy. I really only got a tiny amount, so the “gravy” is just super mildly flavored sour cream. I’m attempting to fill it out with chicken broth, but so far it doesn’t taste like much but sour cream. Any hints on how to treat it a little better next time, if I end up with the same amount of juice? Thanks! Did you use chicken thighs or a different part of the chicken? If you used thighs you should have gotten a lot of juice, and if you didn’t then maybe they didn’t cook long enough or they were super lean. Also the paprika and onion powder should have flavored the existing broth and thus the gravy – if you have to supplement with chicken broth again, you may want to try adding a little more paprika and onion powder to your gravy to bump up the flavor! I’ve been looking for a good paprika gravy recipe since having this dish in Hungary and now I can have it again. It is absolutely delicious and find that I like it on many things. Thank you so much for this recipe! Hi Melissa, I just wanted to let you know I tried this the other night and everything was really, really tasty. I’m not a fan (at all) of dark meat (chicken thighs) and I thought I’d give it a try with skin-on chicken but didn’t have any and didn’t want to make a trip to the store so, rebel that I am, I made it with skinless, boneless chicken breast. I heated some coconut oil in my baking pan first to give it some crispness & facilitate some browning & drippings in the pan for the gravy & it worked beautifully. Just fyi, in case you wondered, the chicken did not have any of the coconut taste from the oil. I did a sort of filet of the breasts so they weren’t as thick as the thighs so they didn’t take the full 40 minutes, 30 minutes I think is what it took. (After removing the breasts from the pan I added a little hot water to the pan to get all that flavor off the bottom).The gravy was like a miracle happening in my kitchen. I couldn’t believe how just the sour cream transformed my drippings into a gravy-like consistency and so, so yummy! Thanks you for sharing. Hi Fawn, so glad you liked this and thanks so much for sharing your stove top method with the chicken breasts! I was wondering how that would work but hadn’t had a chance to experiment with it yet – I really appreciate you taking the time to let everyone know that it works great so they have options! Wow Mellissa you really out did yourself this time! Simple and incredibly tasty! I did a full roast chicken, gravy was lush, kids loved it….we served it with some diced celeriac pan fried in butter and some sweet January King cabbage – perfect winter grub! Thanks!! Great recipe Melissa. Used Greek yoghurt in place of sour cream. Wonderful. We love the added tartness with the yoghurt. Made your banana microwave desserts too. Wonderful dinner. Many thanks for all your efforts. You’re so welcome Frank, thanks for taking the time to let me know you enjoyed it! Love the greek yoghurt idea too, might try that myself in a future batch – thanks for sharing! I made this yesterday, and it was wonderful, even with regular paprika, with a little microwaved cauliflower on the side. My son and I had it for dinner, then I had the leftovers for lunch today. I used a square, nine-inch silicone baking pan, which was the perfect size for four chicken thighs and was super easy to clean up. Then it occurred to me that I can use pretty much any spice mixture or sauce for this. For example, I have some Indian “Madras” curry paste in the fridge. I also have some green salsa (lower in carbs then regular red salsa) — though I plan to add some cheddar cheese for the last few minutes of baking. Hmmm… if I have boneless chicken breast fillets, I can adapt your Chicken Pesto recipe the same way… (http://www.kalynskitchen.com/2010/09/easy-recipe-for-baked-pesto-chicken.html) … oh, the possibilities! Thank you for broadening my chicken cooking repertoire by 1000% with one post! You really can do this a million different ways Karyn – so glad you liked it!!! I’ve got a curry coming up soon – love them!!! If it passes the picky kids (and husbands) test, then I’m always thrilled Katy! Thanks for letting me know and I’m so happy it was a hit with the whole family! I made this for dinner last night, and just had another thigh and some broccolini for lunch. It was great! I’ll probably be having it for lunch again tomorrow. Thanks for a great recipe! You’re so welcome Jan, glad you’re enjoying it! Made this immediately, and it was delicious. I didn’t have any sour cream, so I basically used a pat of cream cheese and some chicken broth to thin it out. I’ll definitely try it again once I have sour cream on hand, but this substitute worked well for me. Thanks for the great recipe! Lookas good, but I haven’t been able to find a sour cream without carageenan in it. It’s a toxic substance and we really don’t want it in our bodies. I’ll keep looking. I haven’t actually looked at the sour cream label I use to check it, but I noticed that even some of the organic heavy whipping cream companies are using carageenan now, which I REALLY don’t like. If you find one, let us know, OK? Daisy brand. Ingredients: Grade A cultured cream. And it’s usually only 99 cents for 8oz at my grocery store. Heavy whipping cream seems to impossible to find without carageenan in it! Ugh! That’s the one I use too Mandy! I’ll have to make this with creamy cauliflower mash. 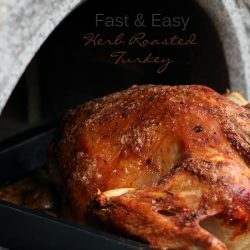 I have the same question about subbing in sweet or smoked paprika, plus, if you are doubling the recipe, how much longer (if at all) should you roast the chicken? I can tell four thighs will not be enough for my family – it looks too good! Thanks! This is dinner tomorrow. Love your recipes! 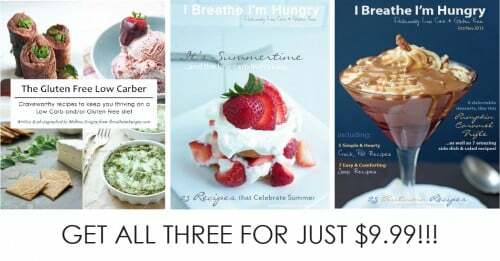 I bought your cookbook from Anazon, but did not see the special offer for your e-zine until now. Is there still a way for me to get your e-zines? I would love to have those recipes. 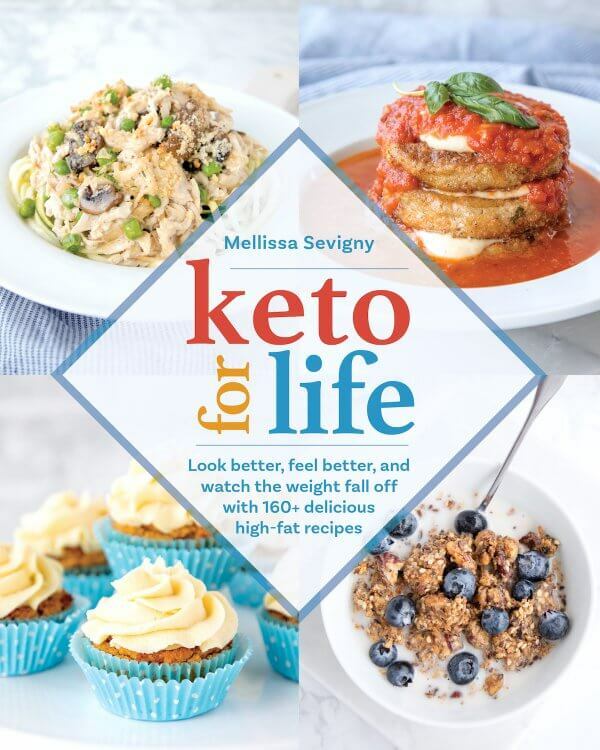 Forward me your amazon email receipt to mellissa(at)ibreatheimhungry.com and I’ll be happy to email you the ezines! Thanks! The photography is really well done and this sounds like an amazing recipe. I will be trying it out for sure. Looks delicious Mellissa. Ooh ooh! My husband has MADE THIS before! Go us! Sour cream has become one of my new favorite things, it just makes everything so creamy and delicious. Not sure how they do it or if they will see your comment and respond Maria, but here is a cheese sauce I make low carb and with no flour! What is the xanthum gum for in the cheese sauce recipe? I’ve seen it listed in several recipes and seems like an un-necessary ingredient. What is it for? saute garlic, add stock and simmer, add cheese slowly while whisking. cook on medium heat until desired thickness. I’m sorry I didn’t get pictures. We just ate this sauce over grilled cauliflower because apparently JUST crispy delicious bratwurst does not a meal make. I can attest that reheating (in the microwave) caused my cheesy cauliflower to have standing oils in it, but it mixed back in just fine with a stir or two, and on keto that delicious oil is needed anyway. OOOOOOO, thanks for this. Will definitely have to try this one as well. Thanks for posting this! I’m assuming you mean 1/2 cup of cheese – like cheddar or something like that? Just checking in case anyone wants to try it out! YES! Half a cup, sorry. Cheddar works well. Colby doesn’t melt, it just turns into colby cottage-cheese-like stuff. I am sitting at my desk, it’s 8: a.m. and I’ve been here since 6:00 a.m……. and I am drooling….can’t wait to try this one! Gonna hafta be tonight! 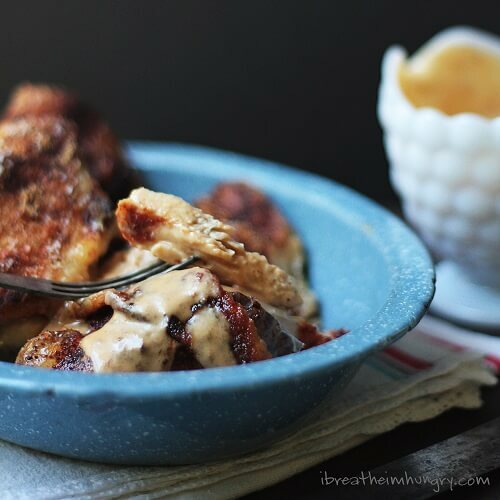 Crispy chicken, sour cream gravy, what’s not to love about that?! And I plan to serve it with cauliflower/kale faux colcannon (mash). Thank you for this recipe IBIH! Thanks so much Brenda! I LOVE this recipe, and I also love cauliflower colcannon – sounds like a match made in heaven! Hope you enjoyed it! Thanks so much Amanda – surprisingly delicious for so simple a dish! Definitely looks like a winner. Does it have to be Hungarian Paprika? Can I use Smoked Paprika or any other paprika I may already have in my spice cabinet? Hi Joy, you can use any paprika – smoked paprika would be great, will just have a slightly different flavor! Enjoy! I was literally JUST looking for sour cream gravy recipes. Thank you! 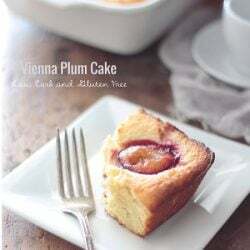 I am making this soon! Sounds delish! I have some boneless, skinless thighs that I bought on sale. Any thoughts on how to adjust the cooking time/temp for those? Sorry, no. I don’t think they’ll roast very well without skin – maybe saute them and then add the sour cream and simmer. I used skinless boneless thighs and just coated them in butter before dredging and cooking they came out great. I used some leftover bacon grease on boneless skinless chicken thighs. It is amazing! 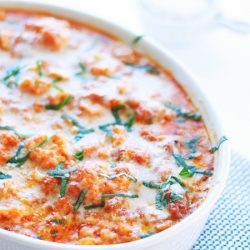 Me too, amazingly delicious recipe! I used boneless skinless thighs as that was all my meat market had that day. Big mistake! I can’t wait to remake this with the right stuff! I can’t tell you how amazing all your recipes look… I am gearing up to start with a bunch of your recipes! Thank you for sharing this with all of us. Much appreciated!!! Ooh! This looks delicious! Weekend shopping will definitely include chicken thighs and sour cream! Thanks!